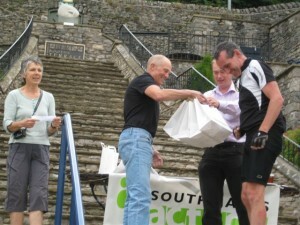 Well done to all 228 people who took part in the 2011 South Lakes Cycle Challenge. Nearly 52,000 miles were cycled in the 6 week period with 28,000 of those miles for commuting. Almost 8000Kg’s of CO2 were saved by making those trips by bike. 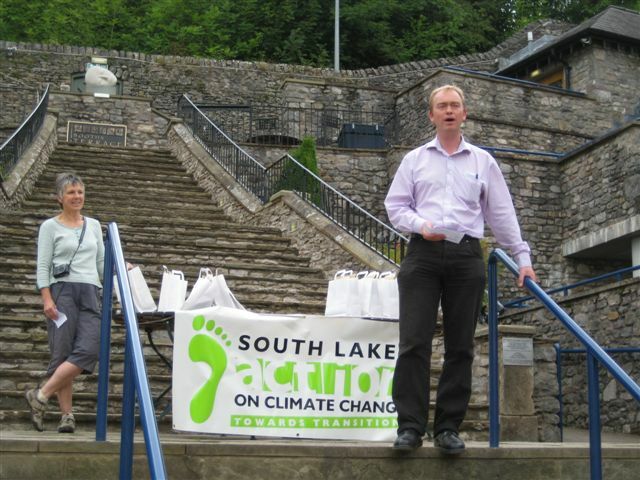 Thanks to Tim Farron MP for presenting the pries yesterday in a ceremony on the Brewery Arts Centre steps. 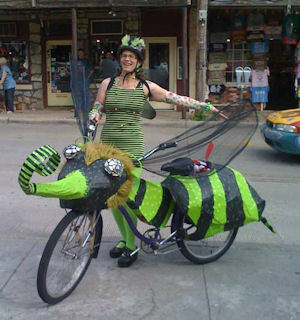 Winner of the New or returning cyclist category: Maxine Allison from Designworks with 51 trips by bike. 2nd place Dave Howard, 3rd Jon Robinson. Winner of the team with the highest mileage: The Lakes School with 3613 miles in total. 2nd Fleet Fox’s – LDNP, 3rd Team C -Croppers. Winner of the Large Organisation with the Highest Mileage overall: The Lake District National Park. 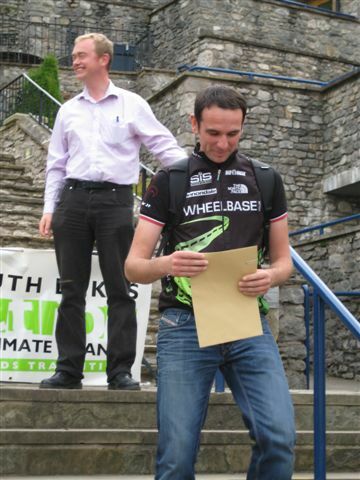 Winner of the Large Organisation with the highest mileage per emlpoyee: Wheelbase with 118 miles per employee. 2nd Brathay Trust, 3rd The Lakes School. Winner of the Small Organisation with the highest mileage and the highest mileage per employee: the Body Rehab with 450 miles per employee. 2nd Designworks, 3rd Seeds for Change Lancaster. Thanks to all who participated and thanks to organiser and SLACC Transport Group convenor Liz Ashburn, Cumbria County Council, Awards for All, the LDNP SDF. Thanks to the Cartmel Sticky Toffee Pudding Company, the Royalty Cinema in Bowness, Rory from Designworks and Wheelbase for donating prizes. Thanks to Designworks for thier work on the website and the Brewery for hosting the awards. Have you always wanted to be in the Torchlight? Come and cycle with us at the head of the procession. Wear red and gold or just come along anyway. Hang lanterns off your bike. Its all about promoting cycling and having fun. Meet at 6.45 at the Leisure Centre. Any Qs ring 01539 822165. See you on Friday! 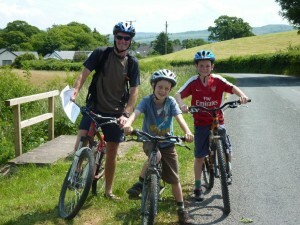 On Sunday parents and kids enjoyed a free guided cycle ride along the traffic-free canal path in Kendal. The ride was led by a SLACC volunteer as part of the Summer of Cycling project. 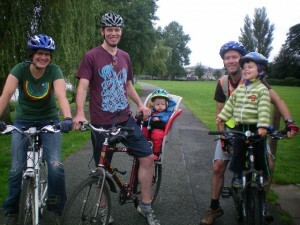 The event aimed to show how easy it can be to cycle with your kids. There are a range of accessories for cycling with children available on the market such as baby seats, tag-a-longs and child trailers. Kendal is becoming more and more popular with cyclists and the canal path is a safe and convenient route through town avoiding traffic. Kendal residents now have the opportunity to get to know some of the many local short cuts to the town centre, as detailed on SLACC’s new Walking and Cycling Map of Kendal. 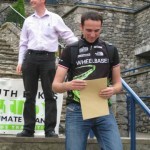 Visit www.cyclefest.org.uk to request your free map. 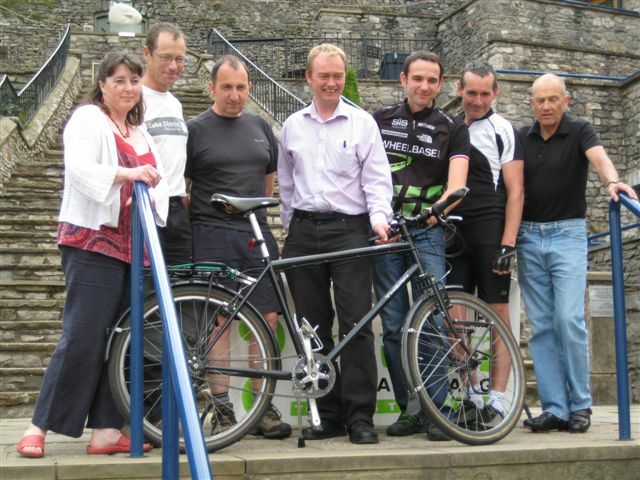 The next event is a Mass Cycle Ride in front of the Kendal Torchlight Parade on Friday the 10th of September. 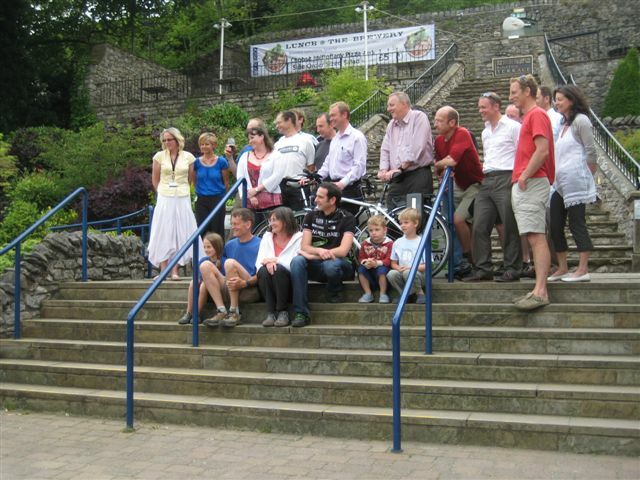 Kentmere Konundrum was held on the final day of Bike Week, a national celebration of cycling falling between 19-27th June. Volunteers from the GTi ran a second ‘Dr Bike’ session at Staveley Pavilion on the 19th July and an after school ‘Dr Bike’ at St Oswald’s School in Burneside on the 17th July, helping pupils prepare for masses of cycling during Bike Week. 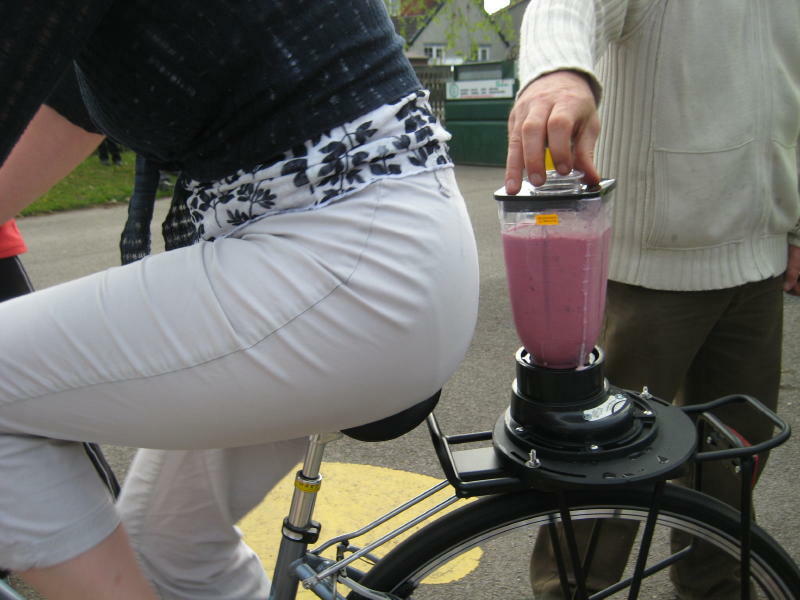 On Friday pupils and cyclists enjoyed free smoothies at St Oswald’ School, promoting the Biketrain; an initiative to encourage commuting by bike. 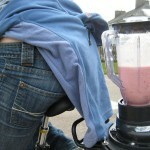 The smoothies were whizzed up by volunteers using SLACC’s new bicycle powered smoothie maker, sponsored by Lush. Zero electricity was used to produce fresh fruit smoothies, a healthy start to the day. Bananas and strawberries were the favourite recipe! 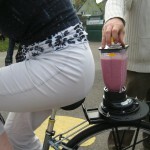 As pupils arrived at school, they were treated to a smoothie and offered free stickers and reflectors for their bikes. 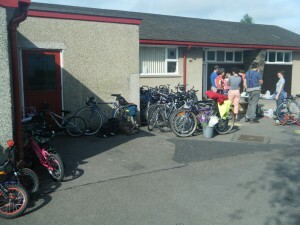 “I’m delighted, we’ve never seen so many bicycles at school,” said Cath Smethurst, teacher at St Oswald’s. “The event will really encourage the kids and parents to get on their bikes”. 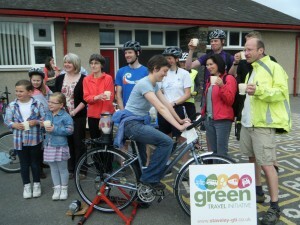 Cyclists on the Biketrain also stopped in at the school for their chance for a healthy breakfast (sponsored by Croppers). 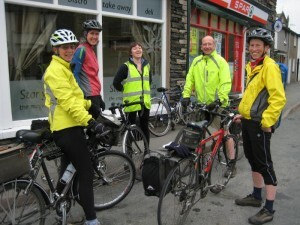 Burneside is mid way along a popular route for people cycling between Kendal and Staveley. 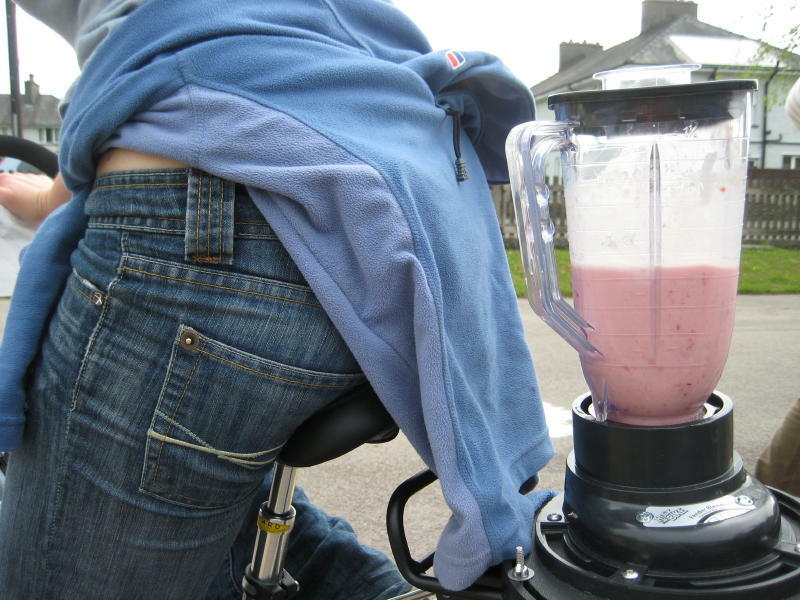 ‘Cycle for Smoothies’ is the first in a series of events being held as part of the Summer of Cycling – see www.summerofcycling.org.uk The next event is a Cycle Maintenance Drop-In on Saturday the 12th of June. 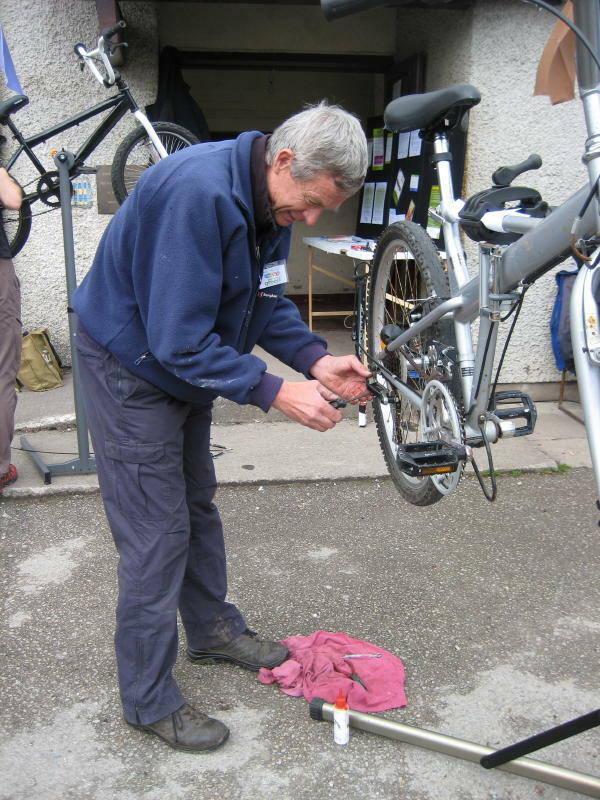 Bring your bicycle to the Birdcage in Kendal town centre between the hours of 11am and 4pm and volunteers will give it a free safety check, looking at brakes, gears and adjusting seats and handlebars while you wait. A great opportunity to get your bike ready for a summer of cycling. 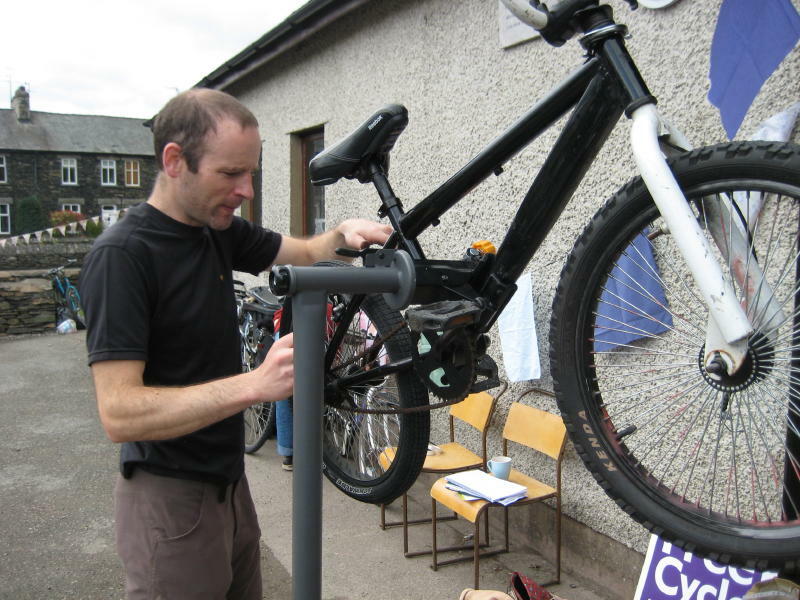 On Sunday, Staveley residents dusted down all shapes and sizes of bikes from sheds and garages to get a free safety check and maintenance overhaul. 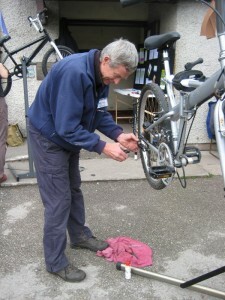 Volunteers looked at twenty three bikes, with demand exceeding supply of bicycle mechanics! A second session is planned for those who missed out. 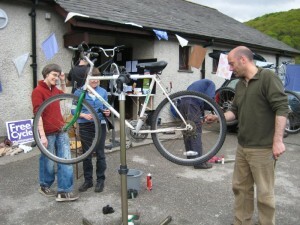 The “Dr Bike” session was organised by volunteers through the Staveley Green Travel Initiative, a community led project promoting alternative travel options. 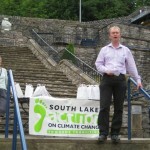 See www.staveley-gti.co.uk for the full calendars of events. The Biketrain successfully launched last week. The bike train is a new SLACC initiative to encourage more people to cycle to work. It takes place every third Friday of the month. Meet at Kendal Library at 8am for a commute to Staveley, or at Staveley Spar at 8am for a commute to Kendal or Windermere. Don’t have lycra? Wear casual, comfortable clothes! Enjoy a Free Bicycle Powered Smoothie in Burneside when you join the Bike Train between Kendal and Staveley – Fri 21st May!